Famous Amos here! 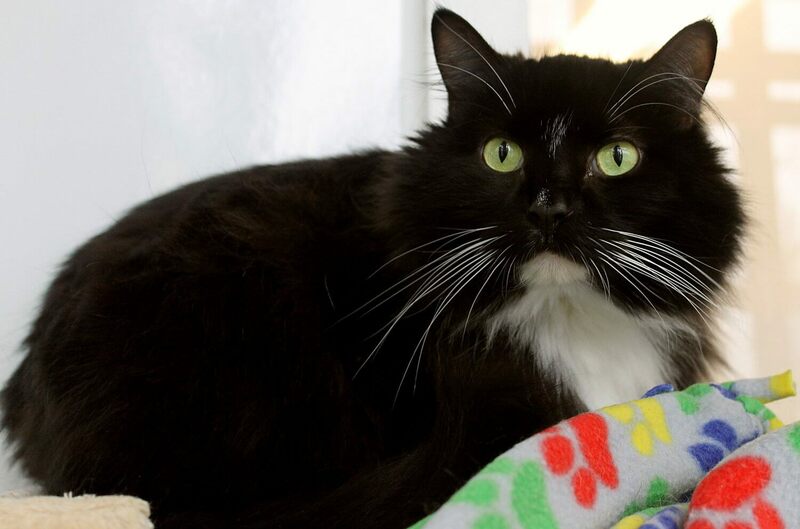 I’m a handsome and very personable 5-year-old boy kitty that is looking to sweeten up your life! 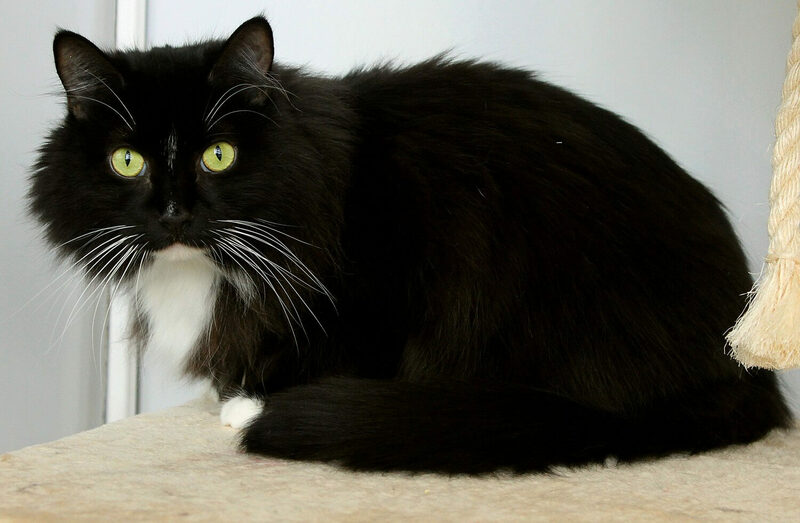 I am still coming out of my shell here at Pixie as I haven’t been here for very long, but I have already shown the staff and visitors what an affectionate and mellow cat I am. It still takes me just a second to know I’m safe, but once you start petting me, I will start purring, drooling, and showing you my belly! I’m very soft and fluffy so I know I’d be a great snuggler and excellent bed warmer during this cold winter weather. I am very nice around other animals, but they do stress me out a little bit, so I definitely think I’d be happiest and most confident as the only pet in the home. I’m a very nice kitty and don’t have a mean streak, but little tiny tots may also be a bit much for my very mellow demeanor. I would definitely be a great companion or family pet for a quieter household where I can be the king of the castle and a best friend to my people. Are you interested in meeting me? Stop by Pixie today! I come to you fixed, vaccinated, and micro-chipped for an adoption fee of $100.